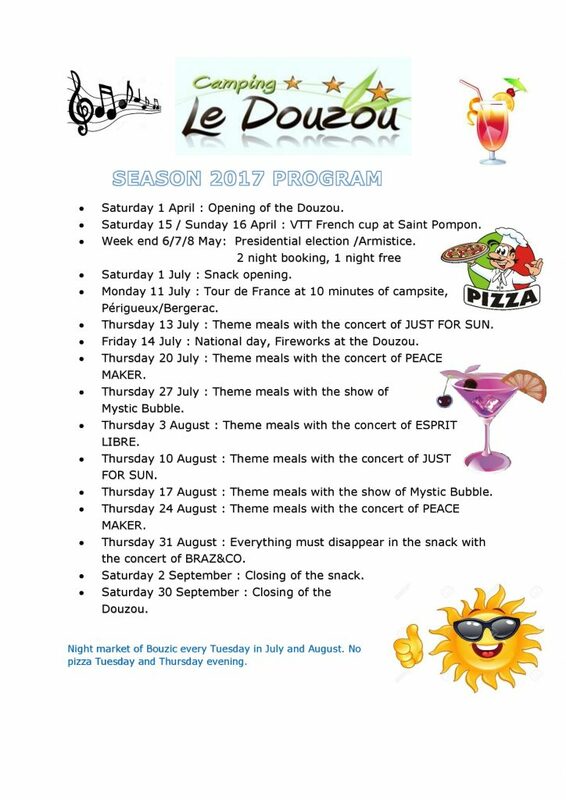 Every Thursday evening, our theme meals, with our barbecues, planchas, paella, fried mussels … every evening will be accompanied by a concert or a participatory show for the happiness of young and old alike. And of course on July 14, National Day, we will fire our own fireworks. 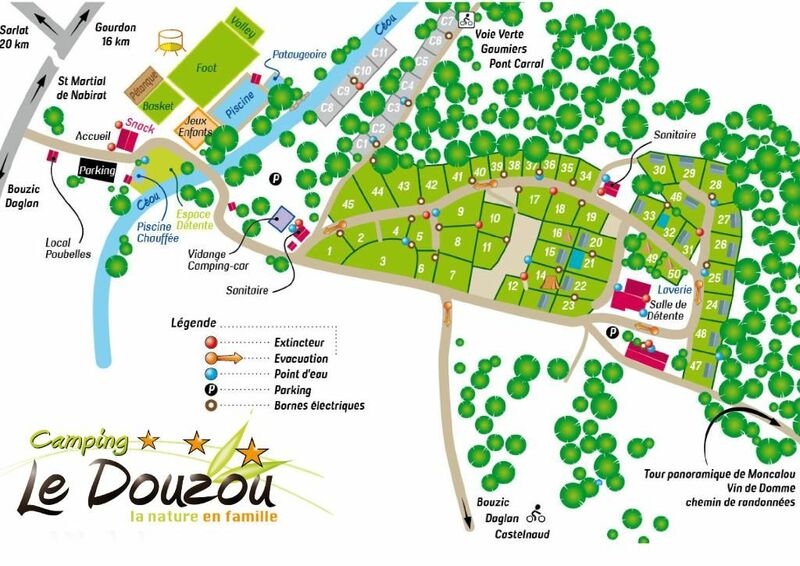 But in the Douzou it is all day that we have fun. Find all our activities which will be supervised as each year by a multilingual animator (belly slips, pool party, football tournaments, volleyball, ping pong … DIY workshop, makeup, pony, jogging, mountain biking, aquagym …). There will be something for all tastes and ages. 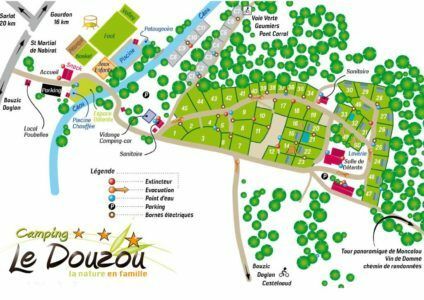 The characteristic of the Douzou and every evening in the month of July and August, our small village of Bouzic (150 inhabitants) organize the largest night market of Dordogne. How has a handful of volunteers succeeded in attracting more than 1000 people every week to this borough? You will find only the local producers and can taste your purchases on the spot by making them leather on barbecues installed for the occasion, not to mention the refreshment bar. Benefit now from our promotion “3 nights for the price of 2” during the extended weekend of May 8th. Contact us by mail or by phone 05.53.28.41.60 to enjoy it.